Today, the worst part of traveling happens before and after boarding a plane — but it doesn’t have to be this way. Some airports are taking a different approach, looking how they can innovate and make real changes in order to create a better user experience. In this article, we’ll take a look at some of the world’s biggest change makers in the airport industry. 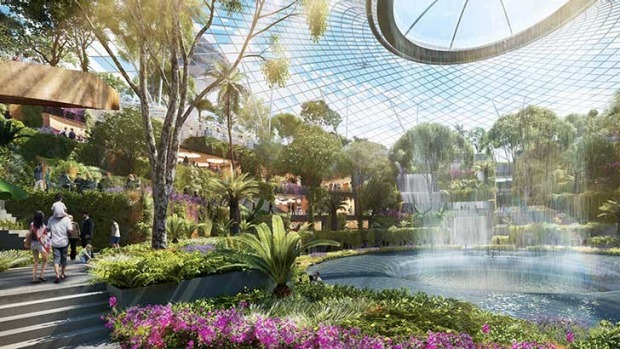 It’s lonely at the top for Singapore’s main airport — according to a recent survey of global travelers, research by GQ Magazine and the Skytrax World Airport awards, it’s the world’s best airport by a large margin. One of its most-praised features is the impressive variety of leisure activities that are offered, making it not just a great point of origin or destination, but also an incredible layover spot. As one of the largest European airports and an important international hub for many airlines, it would be easy for Schiphol to become a jumbled mess of tired people, terrible shops and long lines — but somehow it isn’t. While it’s fairly large in terms of size, it’s easy to get around because of smart routing and easy transfers between terminals. 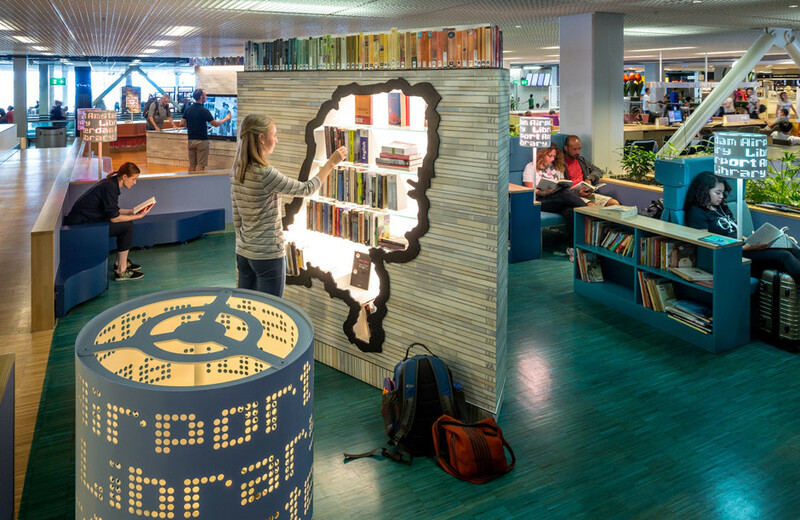 There’s no shortage of leisure activities, either — some highlights include a full-blown library for cozying up with a book, an free-to-visit annex of the Dutch National Museum, countless massage chairs scattered around the airport. There’s also a peaceful, indoor forest-like area where you can charge your phone the Dutch way — by biking. If you thought you would only ever come across humans in an airport, South Korea’s national airport is looking to surprise you. Its newly launched terminal T2 is a prime example of how to build an airport for the future — not only because of its indoor green spaces, stunning architecture and extensive use of natural lightning, but also because of real technological innovation. 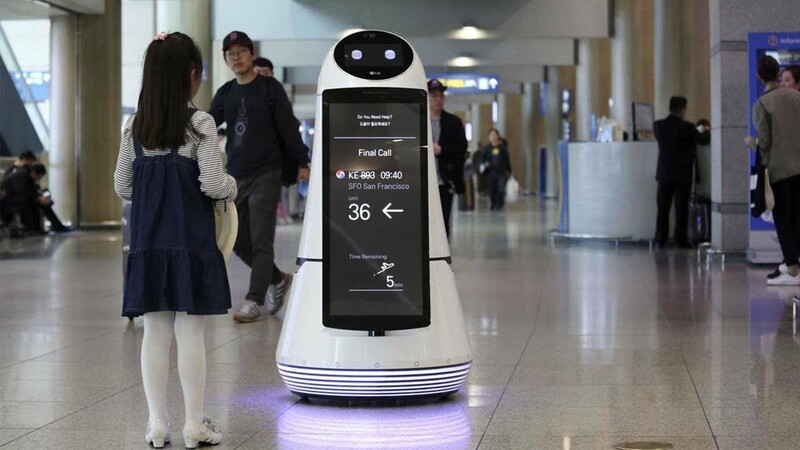 Developed in partnership with LG, the new terminal is hosted by friendly-looking airport robots that can help travelers with all kinds of things — in four different languages. Got lost looking for your flight? Walk up to a robot, scan your boarding pass and it’ll lead you to the gate. Hungry? It’ll happily bring you to the nearest restaurant. Additionally, there’s a small army of cleaning robots that scan the floor and clean dirty surfaces, working 24/7 to ensure clean surroundings for thousands of daily passengers. In the vision for designing an airport for the future, Hong Kong’s main airport has been implementing an array of cutting-edge technologies, including biometrics, robotics, and big data analytics — while also doubling down on existing tech, like mobile. Today, a passenger who’s flying overseas still needs to line up at various points for security checks. Tomorrow, the airport wants to use people’s faces and biometric data to give them easy access to their flights. Other plans include the use of robots bringing refreshments and small meals to tired travelers, and driverless vehicles helping with carrying their luggage around the airport. While most of these plans are still in prototyping phase, the airport is moving fast and could already be launching some of its new services in the coming years.